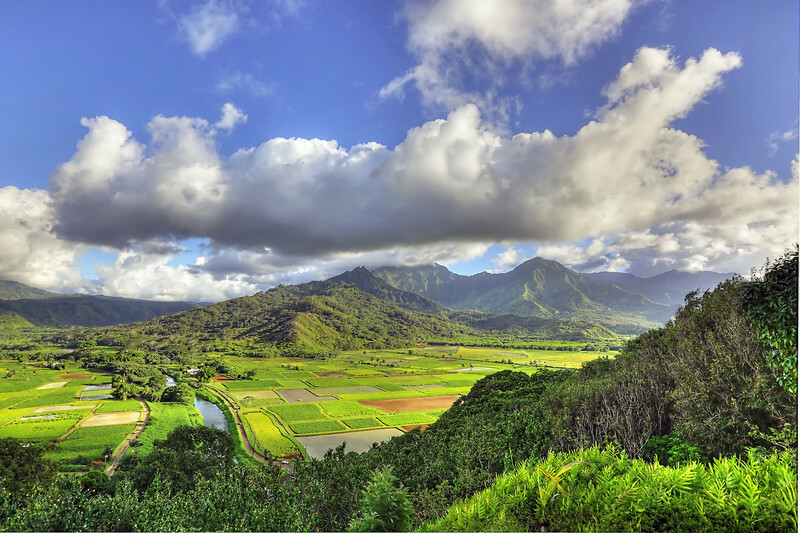 The incredible beauty of Hanalei Valley on the island of Kauai, Hawaii... really has to be seen, first hand, to be fully appreciated. My wife and I were driving to dinner one evening when I noticed these beautiful clouds and amazing lighting conditions all coming together, so I pulled the car over and grabbed this shot. Just goes to show that you never know when an amazing scene is going to pop up... always good to be ready with a camera... just in case!